Baahubali (Bahubali 2): The Conclusion US theatrical rights not acquired by any distributor? Great India Films refuted rumours that it acquired the epic drama's theatrical rights for North America for Rs 40 crore. The makers of Baahubali: The Conclusion (also referred as Bahubali 2) have not struck a deal on its theatrical distribution rights for North America. They are soon likely to make an official announcement about it. It was rumoured that Great India Films acquired the epic drama's North America theatrical rights for a whopping Rs 40 crore. This deal reportedly included rights for all the languages. But the bosses of Great India Films â€slammed the reports on its official Twitter handle. They tweeted: "News that we have acquired #Baahubali2 is not true, till now it is not confirmed to any, possibility of getting by anyone." Meanwhile, a source close to the Baahubali team also said that such reports are false. But he declined to divulge the details about the sale of the US theatrical rights of the second instalment in the Baahubali film series. "It is fake news. The producers of Baahubali will give an official announcement about it in 3 to 4 days," the source said, when quizzed about its distribution rights for North America. 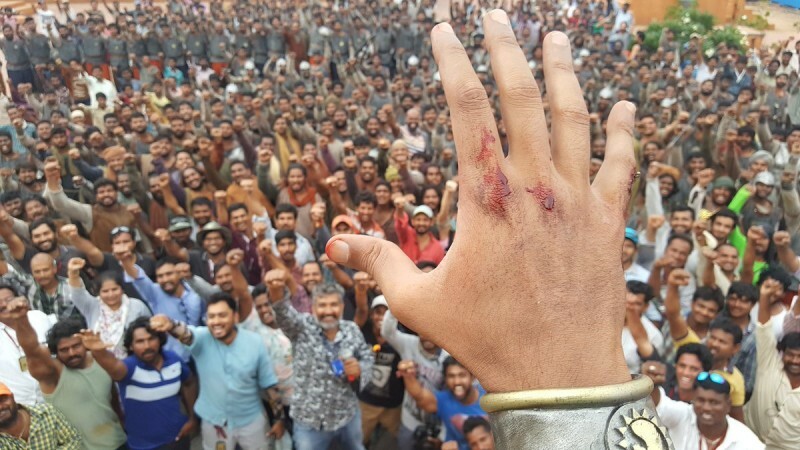 SS Rajamouli's Baahubali: The Beginning turned out a blockbuster at the US box office. The overseas theatrical rights of its Tamil, Telugu and Hindi versions were acquired by Blue Sky for Rs 11 crore. The movie collected Rs 55.75 crore gross at the US box office alone and it is the highest grossing Indian film. The period drama earned Rs 36.24 crore for its distributors in North America. The success of the first instalment in the Baahubali series has created a huge demand for the US distribution rights of the second instalment. Several leading international distribution houses are reportedly vying to acquire the rights. We will know soon who has the last laugh.